Last Tuesday we went on our day trip to DigitasLBi’s Edinburgh office, to meet our mentors and get a first impression of digital agency life (here we are just getting on the minibus in the morning a week ago!). We live tweeted and covered the day on social so that our classmates who couldn’t make it could follow our action – and we made sure to take in a few classic spots on the way! 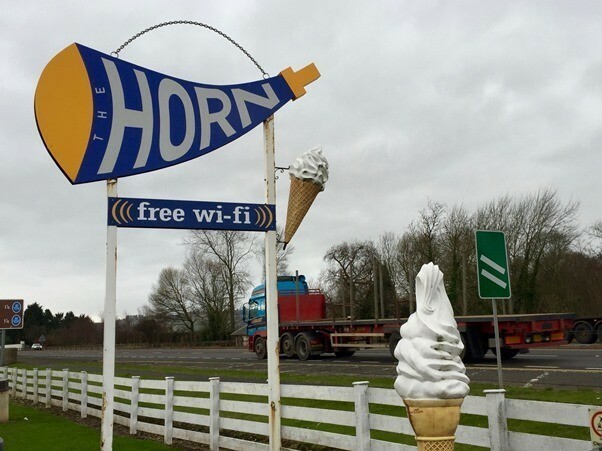 The drive down was made all the better by a pit stop off at the ‘world’ famous Horn for an authentic Scottish lunch. Monstrous bacon butties eaten and coffee drunk, we were fuelled up and ready to get back on the road to Edinburgh. Some of the class of 2016 had never been to Scotland prior to studying the MSc Digital Marketing. The drive across the Forth Road Bridge from Fife to Edinburgh gave all of us the opportunity to see the impressive Forth Rail Bridge on the left, and the new Forth Bridge currently being built on the right. This is us driving across the bridge (thanks Ilias for the timelapse! And Simon for the edit). Arriving at the agency, we were met by the fantastic guys at DigitasLBi. After fuelling up on even more coffee (and biccies), we were then taken on a guided tour around the office where we met the other members of the Edinburgh team. 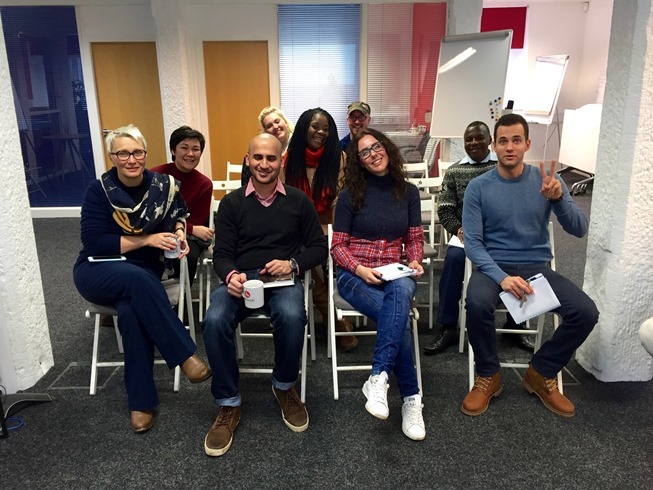 Our mentor Mik was an excellent host, taking us around all the different departments, and we got some whirlwind mini-talks on copywriting, Creative, PPC, Affiliates… topped by really useful first-hand advice on how to successfully manage clients, by the Account team. 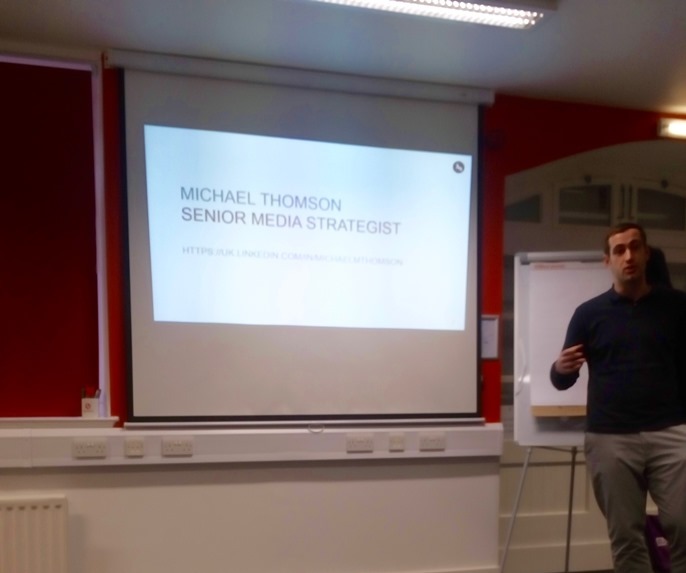 After our tour, and some more coffee, we were lucky enough to be given a presentation from Michael Thomson who gave us a great insight into the future of Digital Marketing and answered some of our challenging questions. Shout out to Benedicte Soteras who rounded off with a case study on one of DigitasLBi’s recent successful online PR campaigns – food for thought, given that we’re starting our own campaign as part of the course work soon! 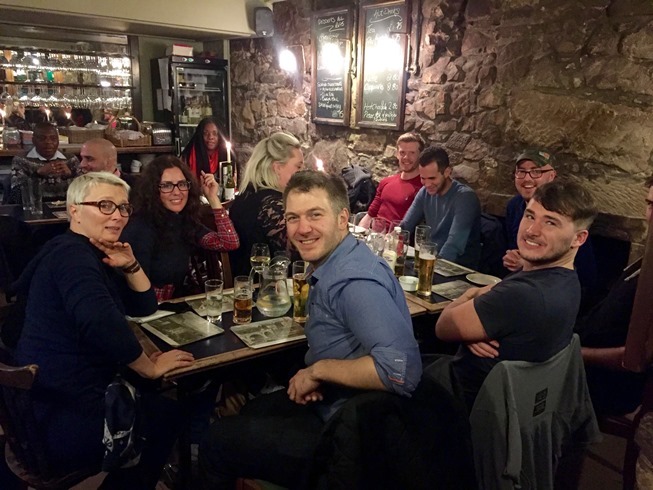 After the presentation the Digital Scot team were joined by the mentors Mik and Mark and some of the PPC / Affiliate team for dinner at The King’s Wark. Food and drinks ordered (not necessarily in that order), we all settled in for what turned out to be very fun and social evening. It was a long but inspiring day. We all loaded back into the bus and headed back to Aberdeen. Special thanks to Maria (who leads the Mentoring programme on the agency’s side) for all the great work in making it happen, Mik and Mark for being fantastic hosts, and to everyone at DigitalLBi for taking the time out of your day to give us a glimpse into our potential futures. We thought about our own road ahead as we crossed the Forth Road Bridge in the dark, heading north. What prompted the Greek girl to drink IRN BRU?